State and local health officials are seeing a spike in influenza cases over the past week, and some medical facilities are beginning to take protective measures. In some counties, the rates of flu cases have doubled from a week ago, and some hospitals are now barring children under the age of 16 from entering as a precautionary measure against this year's powerful strains of the virus. El Camino Hospital in Mountain View is one of two in the South Bay that will be adopting that policy. Dominican Hospital in Santa Cruz already is restricting visitors to 16 years or older. 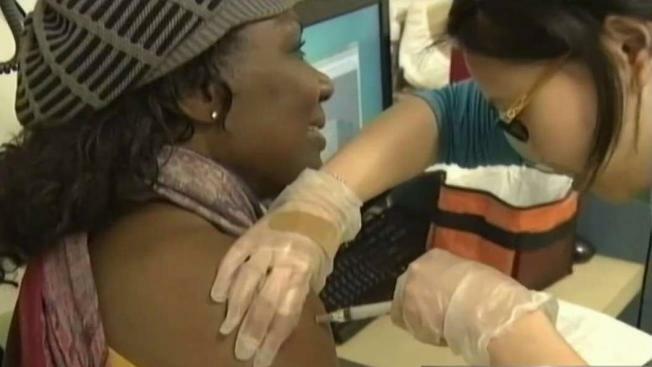 Back in November, Santa Clara County recorded the first flu-related death in the state this season. So far, at least 17 people have died across California from flu-related causes. The county released some concerning figures this week: eight flu outbreaks; two cases requiring patients to be in intensive care; and four flu related deaths. Across the country, the flu has hit hard, with most cases concentrated in portions of the South and Southwest. And California is among those states with the highest incidents of influenza. At a hospital in Southern California, doctors set up a special tent outside the emergency room to handle the rush. The Escondido hospital has been planning for such a scenario for months. "In early October, we start planning with supplies, staffing that we would need, doing a mock set-up of the tent and making sure we are ready, in case we have to use this," said registered nurse Michelle Gunnett, director of emergency services for Palomar Health. "This year, we did have to use it." Thus far, it’s not clear why the flu season hit so early and is spiking so quickly. But according to information from the Centers for Disease Control, this year’s H3N2 strain could be part of the problem. State and local health officials are expecting to see many more flu infections because there are weeks left in the season. Editor's Note: NBC Bay Area has corrected a statement that said nearly half of the state's flu-related deaths have occurred in Santa Clara County.